‘In April 2007, when Didi Menendez, publishing director of MiPO publications and miPOradio, invited me to present a monthly series of literary talks, my remit was to be personal, direct and contemporary in the manner of Alistair Cooke’s Letters From America. So Here We Are: Poetic Letters from England began somewhat gingerly on 7 May 2007, with an essay on aspects of my poetic background, and picked up pace from there. I attempted to give some background to the contemporary poetry scene in England as well as responding to the deaths of poets, such as Bill Griffiths and Andrew Crozier. The talks were written quickly and intended as intelligent introductions rather than definitive statements. Their aim was to stimulate the reader / listener and prompt further reading and discussion. 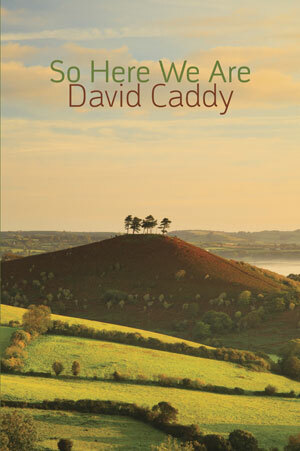 This entry was posted on 30 August, 2012 in homepage, Uncategorized and tagged Andrew Crozier, Bill Griffiths, David Caddy, David Gascoyne, Literary Essays, Shearsman Press, So Here We Are, Tears in the Fence. Bookmark the permalink.